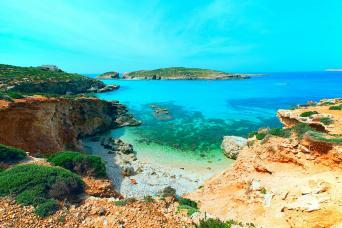 The archipelago of islands, Malta, Comino and Gozo are located in the heart of the Western Mediterranean, just south of Sicily. Malta is crammed full of interest, including their complex culture and history, ancient temples, dramatic architecture, friendly people, hidden coves and turquoise seas. Basking in sunshine for the majority of the year, this destination is great to travel to when elsewhere the weather is dismal! Malta’s sister island, Gozo is smaller, greener and more rural. Baroque Churches and old stone farmhouses dot the landscape. 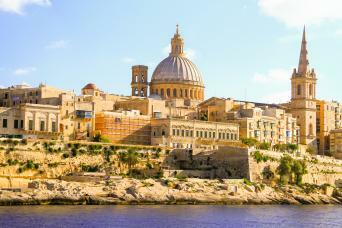 You can spend the whole week walking on Gozo, or if you prefer, combine the trips and walk on Malta and Gozo. We have lovingly researched this paradise on the fringe of Europe to craft the perfect walking holidays in Malta and Gozo. 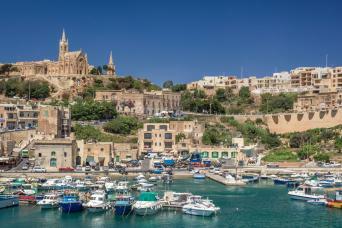 This short break walking adventure explores the highlights of the tranquil island of Gozo. A walking adventure on Malta and Gozo, islands located in the Western Mediterranean, with a beguiling mix of culture and history.